Below you can watch some fun ‘behind the scenes’ action of “Sway” from this past June. The next show dates for “SWAY: A Dance Trilogy” is scheduled for December 3-6, 2015 (5 shows) in Miami, Florida. Proceeds from shows will benefit Alfalit and it’s initiatives to end illiteracy throughout the world. For tickets visit: www.swayshow.com. The actress and ‘Dancing with the Stars’ champ will make her Broadway debut as Roxie Hart, just before her father’s play begins previews this fall. Rumer Willis is bound for Broadway. The actress and Dancing with the Stars champ will make her Broadway debut in Chicago this fall. Her limited eight-week engagement at the Ambassador Theatre begins Aug. 18 and runs through Oct. 11. Derek spoke to the Miami Herald back before the tour started and they apparently just published it to coincide with MOVE arriving in Florida. Derek Hough’s twist on a recent Season 20 Dancing With the Stars episode was the “Ouch!” heard ’round the country. On April 20, while rehearsing for the 10th anniversary special edition of the ballroom dance competition show — Hough is its most winning pro — the 30-year-old Utah native broke a toe on his right foot after an errant kick. He then sprained the inside and the outside of his left ankle, and ended up with a bone bruise (the latter after tumbling down stairs while attending to his toe). Bad break and bad timing. You could practically hear the accountants gasp. Hough was in his customary race toward the finals with gymnast “star” partner Nastia Liukin (the couple finished in fourth place) and simultaneously starring in a New York Spring Spectacular dance show at Radio City Music Hall. He was also readying rehearsals for the second annual MOVE Live Tour with sister Julianne Hough (a judge on DWTS and actress). MOVE — with both stars intact, he swears — cha-chas onto the Hard Rock Live stage Friday. “I learned the show in three days this year,” he says. Hough is involved in every aspect of MOVE — choreographing the routines, dancing, singing and engaging in banter with his younger sis. “I’m feeling much better, I’m getting strong,” Hough says on the phone during a break in rehearsals in Los Angeles as carpenters slam together painted sets, costumers run around and giant fans blow air around the Houghs. For Hough, work is always a race against the clock. He wasn’t even supposed to be on the DWTS anniversary season due to the Radio City gig, but “I get passionate about challenges,” he says. Jo Swafford took some amazing photos at the shows she went to in Texas. See purederekhough.com for more coverage of MOVE Live on Tour. Emma Slater called Q105 FM. 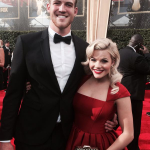 She chats about the new Dancing With The Stars Live Tour and what fans can expect. She says rehearsals have been “smooth”. She’s also more excited on this tour more than the last tour. More here. What a week it’s been for the cast of Dancing With The Stars. Below we try and catch up with them all. Shew. First up, how about a Dancing With The Stars Tour teaser pic courtesy of Alan Bersten? The show premieres Saturday night in Atlantic City, NJ. They look like they are ready to go. This teaser of Val and Witney dancing to one of the numbers looks fun too. 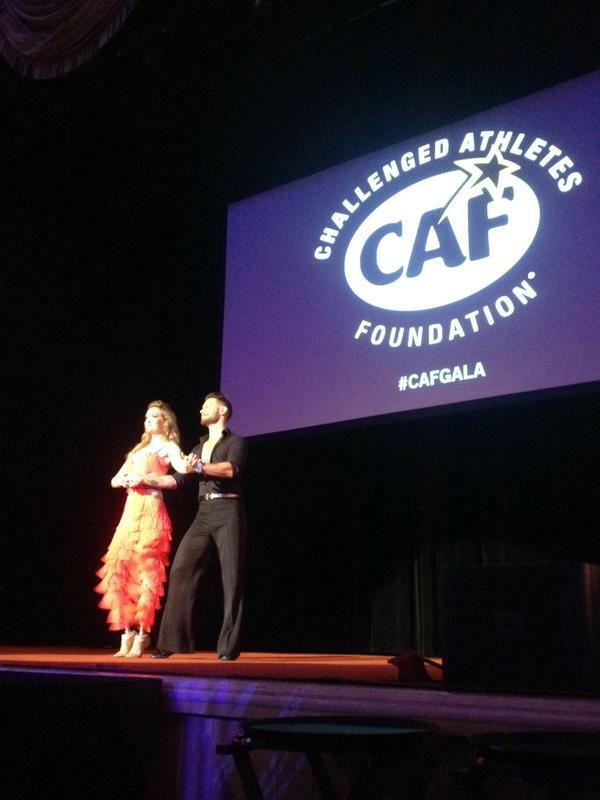 Speaking of dancing, Amy Purdy and Henry Byalikov untied to dance again last night at the CAFoundation Gala. Go for it, Amy! Also, did you catch Cheryl Burke in “I Can Do That” this week? If not, and you miss seeing her dance, check this out. Thanks to @IAmKimmieHo for the heads up…. Ciara and Cheryl Burke kicked it old school and won the night! Don't miss next Tuesday's I Can Do That at 10/9c on NBC. 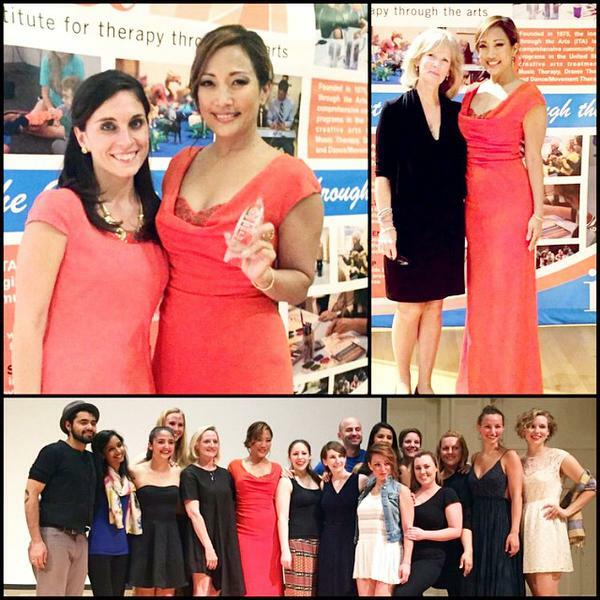 Carrie Ann Inaba won a ITAArts Therapy Lamplighter Award this week too. Photo below courtesy of her twitter. 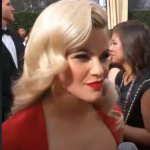 I love this dress…. I’m loving this dress too worn by Erin Andrews last night at the CMT Awards. She looks so glamorous in white, doesn’t she? Read more..
How about some more coverage of “Sway”? Getty Images has some beautiful photos of the “Sway” Meet & Greet from yesterday. You can view a few of them below. The Daily Mail has photos and coverage as well. You can also read some reviews of the show at the Digital Journal and the Examiner. Peta Jane Fans at twitter attended the show. You can view lots of photos and her comments here. Also below are some dance videos from the show courtesy of Trisha Cannon. 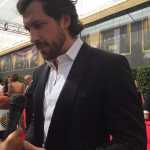 Lastly, you can listen to some interviews with Val and Henry. Val talks on Sway and the new Dancing With The Stars tour (thanks to Andrea and Lois for the interview finds). What a fun weekend it’s been for them all. Last night “Sway: A Dance Trilogy” premiered in New York City. Below are some stunning photos of the cast. To see more photos, see Getty Images. And is “Sway” coming to Miami in Decemeber? Check out this poster courtesy of @Pouncer84 at twitter. The Dancing With the Stars winner has decided to join the show’s summer run, Dancing With the Stars Live! Perfect Ten Tour! Rumer talked to E! News at the StarShop app launch event in New York City and dished what it was like when she first left the show and what she’s excited for next. Rumer has also been keeping busy by showing off her amazing body on social media, posting bikini pics from her Memorial Day Weekend festivities. She loved her experience so much, in fact, that she can’t wait to get back into rehearsals. To read the full article, see E News. Read more..